Stay stylish even as you keep dry and protected against the elements in the Team Fleece Lined Jacket. Offering exceptional warmth and water resistance, this jacket integrates Canterbury’s own quick-drying Vaposhield coating so that you won’t get wet no matter where you are. 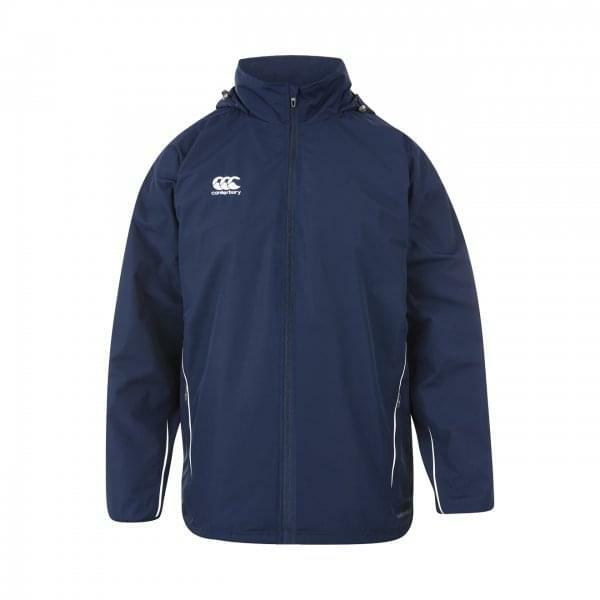 The jacket features lightweight, durable polyester in a durable, stylish design, allowing you to keep warm while training in harsh conditions. Providing the concealed hood with a full zip and zip pockets, this classic designed jacket offers style and convenience, and makes a great everyday jacket whether you’re heading to the gym for a workout or getting together with friends.